The Last Voyage: week-by-week , written as a 75-years-ago-blog in 2017. This story follows Abbekerk’s last voyage in weekly episodes. Written as a documentary, combining interviews, maps, pictures and all kind information gathered in the past years about the Abbekerk and the war situation she was in. Engineer Adriaan Kik’s wartime memoirs, picturing his time on the Abbekerk during the war. 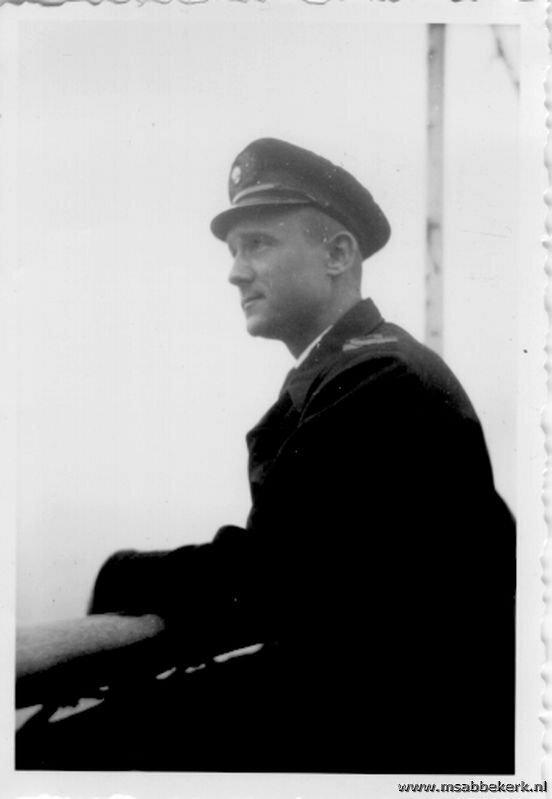 He also briefly describes his time on the SS Maaskerk after Abbekerk was sunk. Be aware this story was written in 2000 and is kept as original as he wrote is. So it may not be completely factual with information now available. More short stories can be found under “Fragments“, including that of the Third Mate (in Dutch only). But like Adriaan Kik’s memoirs these are incorporated in the large story of The Last Voyage. Some more background on how Adriaan Kik came to write his memoirs and how this website started and evolved can be read in the introduction.